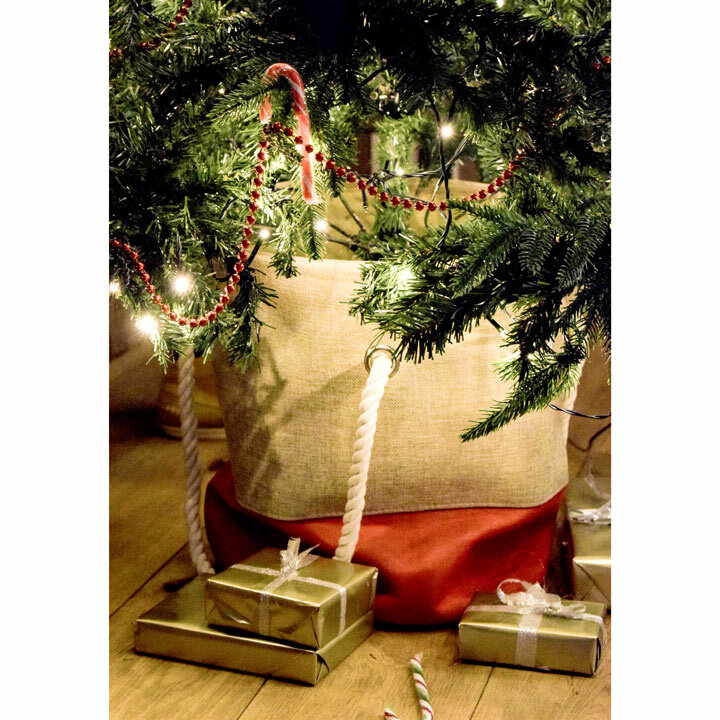 Break away from the traditional Christmas tree containers with this modern hessian bag, perfect for standing your Christmas tree in this year. In chic hessian with contrasting red trim, this is just what you need to hide the base of your tree this year. Easy to use and will last for years, a family tradition. Available in two sizes: 31 x 30 x 30cm & 37 x 35 x 35cm. All Dobies products should reach you in perfect condition, just as they left us. If you are dissatisfied in any way with their condition on arrival, please let us know within 14 days. We are only liable for the cost of the goods as quoted on the website plus the cost of delivery if the goods are faulty. Order online or call 0844 967 0303 - 24hrs a day, 7 days a week Calls to 0844 numbers cost 5p per minute plus your telephone company's access charge. For product or any other queries, please email Customer Services Customer Services call 0333 240 5933 - 8:30am - 5pm, Mon-Fri Charges to 03 numbers are the same as standard UK landline numbers starting in 01 or 02 and mobile providers may vary.